It is the responsibility of the congregation to judge, weigh, discern, evaluate all prophetic words and teaching to discern whether the gift, ministry, or miracle is from God, demonic, or self -generated (i.e., the flesh) (1 Thes. 5:19-22). A prophetic minister should welcome evaluation and accountability for a Jesus-saturated ministry is a submitted ministry. False teaching can be judged by comparing it with Scripture, but false spirits can be judged only by the true Spirit’s gift of discernment. That gift may be called the Spirit’s gift on gifts, because God uses it to reveal to His church whether or not a manifestation of the other gifts is of Him. All imitation of the gifts is not demonic. Much of it is simply the work of the flesh, carnal Christians trying to serve the Lord in their own power and for their own benefit and glory. Summarizing, it can be said that the gift of discernment is given to tell if the other gifts are of the Holy Spirit, if they are merely natural imitations, or if they are demonic counterfeits. 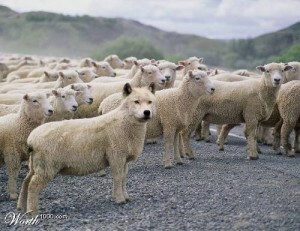 I believe God still empowers some of His people to unmask false prophets and carnal hypocrites. He gives them insight to expose imitations and deceptions that most Christians would take as genuine. The gift of discernment, however, can easily deteriorate into a critical, proud, and self-righteous spirit. It can be judgmental instead of corrective when it is imitated in the flesh. But rightly used it is a great protection to God’s people. John MacArthur, The MacArthur New Testament Commentary: First Corinthians [CD-Rom] (Chicago: Moody Press, 1984). This entry was posted in Charismatic Movement, Holy Spirit, Spiritual Gifts and tagged Charismatic, Gift of Discernment, Holy Spirit, John MacArthur, Spiritual Gifts on May 6, 2009 by GlennDavis.